Is your IT environment secure and continuously monitored to identify & address cybersecurity issues before they impact your business? Avoid costly downtime, achieve security, and save money with our Managed IT Services. We deliver enterprise level IT environments that are proactively monitored, managed and supported 24/7 by a Network Operations Center (NOC) staffed with over 600 certified technicians. At TelPlus, we believe a secure and reliable IT infrastructure should be a strategic business decision, not a business challenge. We make the decision easy by proactively monitoring and managing your IT network at an affordable cost which in most cases is equal to or less than your current IT spend, while you focus on your core business. Our dedicated vCIOs are knowledgeable and trusted advisers with the ability to meet ongoing IT needs, respond quickly to incidents and plan strategically. They will help leverage new IT technologies for growth, efficiency and customer satisfaction. For more information please call us at 866-TELPLUS or CONTACT US HERE. 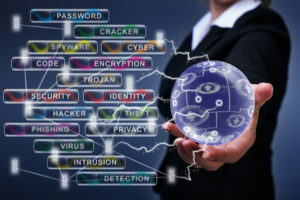 Our Mission- We are focused on empowering and educating our clients with the best carrier neutral solutions, securing their IT ecosystem through best-of-breed cybersecurity, while making informed choices about services, technology and cost savings. Copyright © 2019 TelPlus Communications. TelPlus Communications, Inc. was founded in 1997. We provide our clients with consistent, high quality and timely IT management and cyber-security services.